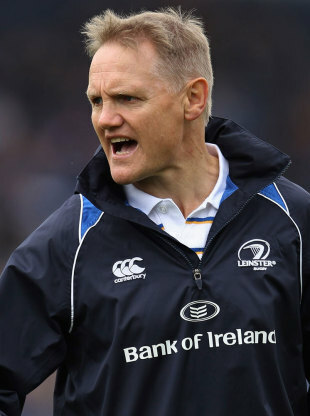 Leinster coach Joe Schmidt has admitted that he is suffering from nerves ahead of Leinster's Heineken Cup semi-final against Clermont. The sides face off in Bordeaux on Sunday, and Schmidt revealed that his former Clermont head coach, Vern Cotter, rang him last week to chat about the game. "I think he is as nervous as I am about it," said Schmidt. "I think we can go there and play pretty well and still not get the result, and I think he feels the same way. "That is the way it should be with a European semi-final. I think it is going to very, very tough and so does he. "They have avoided the barrage. They are clearly going to play direct into the semi-finals in France, so they are already in a comfortable spot, a little like we are. "I think, with the depth of their side, Vern is pretty comfortable with the options that he has at his disposal. It will be really interesting when the team comes out. "I don't think either of us believes 15 players on either side will win it. It is certainly about the 23 players that are selected." Gordon D'Arcy, Jamie Heaslip and Isa Nacewa, who were all rested in Friday night's victory over Ulster in Ravenhill, will rejoin the panel for the Heineken Cup semi-final. Eoin O'Malley's calf injury will be further assessed by the medical team and he has not been ruled out of contention ahead of the team announcement on Friday.